Indian Trail is a quaint suburban town in Union County, North Carolina. The area was settled by German and Scot-Irish immigrants, and in 1861 the town's economy primarily relied on trading, farming, and gold mining. The railroad that came through in the late 1800s creating a prosperous future for the people of Indian Trail, and a couple of decades later, in 1907, Indian Trail became incorporated as its own community. Today, the land is populated by about 40,000 people living on 22.1 square miles. One business that currently aids in the excellent economy is called Radiator Specialty Company, which deals in automotive care. In 2011 Indian Trial was deemed to be one of the fastest growing places in North Carolina; the town is the largest in Union County. Homeowners can participate in an incredibly active community. The Independence Day Parade is one of the biggest in the Charlotte Metropolitan Area. Residents and their families attend the Easter Egg Hunt every year, and there are concerts on the third Thursday of the month. The fourth Friday each month is a dedicated movie night in Crooked Creek Park, which is a time-honored tradition as well as a cute date or family outing. On some of these celebrated Fridays, there is a pitch, hit, and run competition for softball/baseball buffs and kids trying to better their arms. Paws in the Park is another adorable day where residents can bring their animals, mostly dogs, to be around other pets. Family Fun Day is a joyous day full of competitions, food, and fireworks at night. Chestnut Square Park and Crossing Paths Park are excellent destinations for a relaxing time in the sun or a place to play for hours. 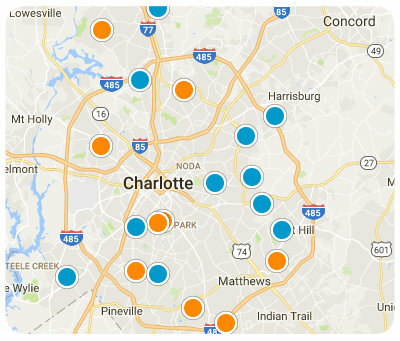 Homeowners with school-aged children in this small town are able to enroll their kids at Sun Valley Elementary School, or Weddington Middle and High Schools. 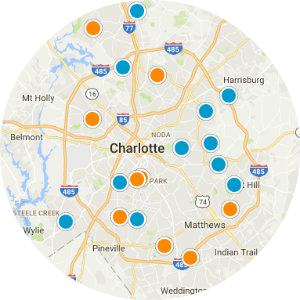 Future buyers looking to purchase condos or single-family homes for sale in Indian Trail are lucky to have a diverse selection of available homes. 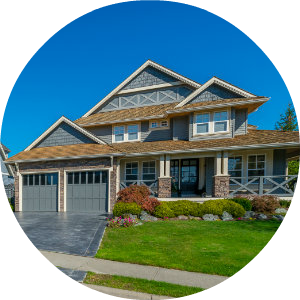 Traditional, Colonial, and Craftsman style homes are popular architectural types built in the area. Floor plans featuring five bedrooms and 3,000-4,000 square feet can be found for sale. Living in such a tight-knit community encompassed by North Carolina's beautiful nature makes buyers feel safe and comfortable in their new homes. 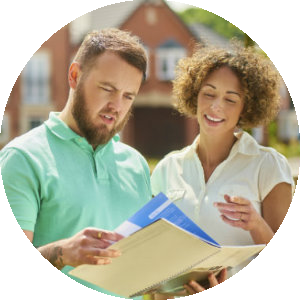 If you are interested in buying a home for sale in Indian Trail, North Carolina, please contact us today. Listing courtesy of Collins, Realtors. Listing courtesy of McCoy Real Estate Inc.